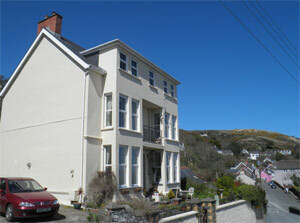 Sue and Mike would like to offer you a warm welcome to Pembrokeshire and Fern Villa B&B. Fern Villa Bed & Breakfast, a Victorian house full of character is set in three quarters of an acre of mature terraced gardens in the coastal village of Goodwick, Fishguard, Wales. We offer comfortable 4 star en-suite bed and breakfast accommodation, with beautiful views over Fishguard Bay, Dinas Head and the North Pembrokeshire coastline and countryside. Fern Villa Guest House has spacious double en-suite rooms all with stunning sea views, and a twin and single room, which look over our pretty gardens. 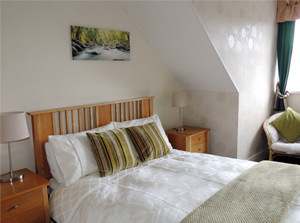 Our individually decorated rooms all have digital freeview tv, toiletries. and a hospitality tray. Wifi is complimentary and parking is available. Breakfast is taken in the sunny dining room overlooking the sea, and will set you up for the day. We are ideally situated to explore the natural beauty of Pembrokeshire with the coastal path only 5 minutes walk away. The coastal buses enable walkers to explore further afield. Fishguard & Goodwick train station with its links to London and Cardiff is only a 5 minute walk away, as is the Stena ferry terminal in Fishguard Harbour with daily crossings to Ireland. Late ferry arrivals are welcome by prior arrangement. Pubs and restaurants are within walking distance and serve freshly cooked meals using local produce. 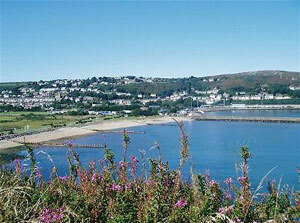 We are only a 20 minute drive from St Davids and 15 minutes to Newport.